The US government is granting funding worth US$23 million to the Central Tibetan Administration (CTA) to look after the welfare of the exile Tibetans. The funding, which will be a big part of the CTA’s annual budget, will be provided on a yearly basis over a period of five years as per the programmes developed by CTA. The US$4.9 million provided for the financial year 2017-18 is included in the current CTA budget of IRS2,434.6 million (US$37 million approx). A smaller portion was in the last CTA budget, and has already been spent. 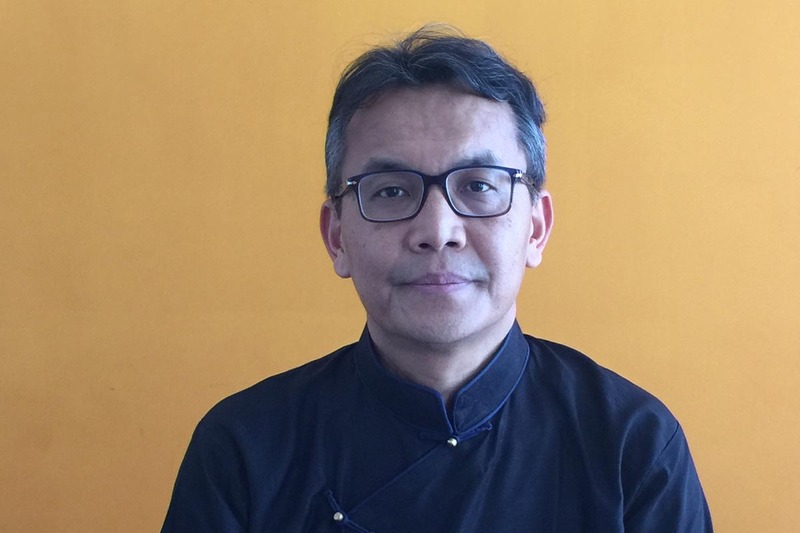 The key person overseeing and liaising the funds and programmes is Mr Kaydor Aukatsang, who is the Chief Resilience Officer (CRO) of CTA and Director of Social and Resource Development (SARD). His primary responsibilities as CRO include mobilizing financial, human, and technological resources for CTA, maximizing innovation, and managing key projects and relationships that contribute to the long-term resilience of CTA. Aukatsang was a former Representative of His Holiness the Dalai Lama and the CTA to North America from 2013-2016, and has served as Special Adviser to Sikyong Lobsang Sangay from 2011-2013. He has many years of experience working in philanthropic and social profit organisations. Lobsang Wangyal asked Kaydor Aukatsang how the CTA expected to spend the US$23 million grant. The previous US government agreed to grant total funding worth US$23 million to the Central Tibetan Administration to look after the welfare of the exile Tibetans, to be used over a period of five years. How and when are you expecting to receive the funds? The funds for the five-year Tibetan Self Reliance and Resilience (TSSR) programme funded by the United States Agency for International Development (USAID) was approved by the US Congress when a separate budget line item was inserted in the US government’s FY2014-15 budget to support the Tibetan community in exile in South Asia. USAID went through its process and the TSSR was finalized and launched in October 2016. We are currently in the first year of the programme and the approved budget for year one, based on the work plan submitted, is around US$4.9 million. Social and Resource Development (SARD), the CTA entity overseeing the implementation of the programme, has already started receiving the funds through Tibet Fund, our partnering organization based in New York. Would you be able effectively to use all of that funding by the end of the five-year time span allotted by the US government? Yes, we will be able to fully and effectively use the funds within the stipulated project time horizon. Who will decide which projects would be allocated funds? Who will advise on which projects should get priority, and what are some of the criteria used to approve these projects? The allocation of funds for the first year is based on current needs and priorities of the CTA within two broad areas that were agreed on between USAID and CTA representatives: sustainable livelihoods improvement, and strengthening Tibetan institutions and cultural resilience. In putting the proposal together, the Kashag, with input from SARD and CTA departments, identified eight areas under sustainable livelihoods (entrepreneurship, workforce development, agriculture, basic education strengthening, access to higher education, health, participatory community development, and women’s empowerment); and three under capacity-building (institutional capacity development, leadership development, and strengthening cultural institutions and cultural resilience). All projects that are deemed to be within CTA funding guidelines and furthering the priorities of CTA are reviewed and forwarded by SARD to the Core Development Committee (CDC), the entity that makes final recommendations to the Kashag. CDC is comprised of Sikyong (Chairman), Paljor Kalon (Vice Chairman), Paljor Secretary (member) and SARD Director and Chief Resilience Officer (member), and Chief Planning Officer (Secretary). As part of the participatory community development process, some of the project proposals under the TSRR programme will come directly from the community. In year one, we have also set aside funds for undertaking assessments which will be facilitated by external experts and will inform the designing of year two of the programme and fund allocation for year two and beyond. The areas identified in the TSRR programme relate closely to the 15th Kashag’s five-fifty vision of how Tibetans in exile can remain resilient and sustain the community and the culture for as long as needed. As we all know, during the first term of Sikyong Sangay’s administration, some projects had to be discontinued after they failed to achieve their desired outcome. Some examples include the Ulam Business Process Outsourcing, or BPO, project, and the computer training centre under the Tibetan Career Centre. The Tibet Corps continues to remain unproductive. How does CTA explain the failure of those projects? How does it plan to ensure that such unproductive projects are not repeated in the future? There was a high level of chatter within the community and amongst Tibetan development practitioners around BPOs in the years leading up to 2011. Quite a few argued that the profile of the Tibetan community in India and other related factors could provide the right conditions for a Tibetan BPO project. The CTA leadership should be credited for taking the initiative and engaging in a public-private partnership with an Indian business company to launch such a project in Dharamshala. The project had to be discontinued as the Indian company withdrew because of inadequate participation from the community. TSRR’s workforce development plans to further strengthen the Tibetan Career Centre (TCC) and its programmes, including computer training. There will always be a need to provide skills training and make Tibetans more competitive in the job market, and the TCC is positioned to provide a needed service. We are pleased with the growth of Tibet Corps — a platform for university students, professionals and retired educated Tibetans to serve the CTA and the Tibetan community. This is a long-term and a strategic initiative, which will continue to grow. How much funding would be dedicated towards solving some of the basic problems, such as lifting up those Tibetans living below the poverty line, rehabilitating new-arrival Tibetans from Tibet, and helping people with health issues such as HIV or TB? One of the core responsibilities of CTA and the Tibetan leadership is to take care of the most vulnerable members of the community. New arrivals from Tibet, those living below the poverty line, and the sick constitute the most vulnerable. Accordingly, in CTA’s budget for 2017-2018, which was recently passed by the Tibetan Parliament-in-Exile, INR150.47 million is allocated for rehabilitation, infrastructure, and providing welfare services. INR105.04 is allocated for health programs and INR31.76 million for the Tibetan Medicare System. CTA provides free health care and monthly stipends ranging from INR2000-INR3500 to elders identified as living below the BPL. Same service is also provided to all former political prisoners. Housing is being built for some of the new arrivals from Tibet who don’t have housing. A major loan programme will provide much-needed capital for Tibetans to start or grow existing businesses. In the health sector, CTA would like to provide universal health coverage for Tibetan communities in South Asia, prevent child and maternal deaths, and create a TB-free community by 2030. Traditional arts and crafts, religious events, opera and production of propaganda documentary films and photo exhibitions get enough attention and funding from the CTA. But contemporary art and artistes, let alone getting any budget, don’t even get a mention anywhere in the CTA’s activities. Would there be any funding for art and artistes working in various artistic mediums? In philanthropically progressive countries in the West there is a vibrant support system for the arts and culture, with most of the support coming from individuals and the private sector. We don’t have that culture and capacity in the Tibetan exile community as yet. Barring religious events, the resources available for traditional arts, crafts, and other cultural programmes is still quite modest. Yes, within this overall arts and culture funding, the amount available for contemporary art and artists is even smaller. We would like to change that if we can. The new Tibet museum that is being built in the heart of Gangkyi will likely have a space to showcase and promote contemporary Tibetan art and artists. The Department of Religion and Culture will be launching a pilot small Tibetan art and culture fund. This pilot funded under the TSRR programme will support Tibetan artists and organizations engaged in the conservation and promotion of traditional and contemporary Tibetan art, language and culture.